The VI Annual Winter Forum on Criminal Law and Procedure organized by the Ukrainian Advocates’ Association was held on December 16, 2016. KM Partners became the title partner of the event. At the forum the topical issues arising during the defense in the criminal proceedings were considered. In particular the participants discussed operation practice of certain institutions of the Procedural Law in 2016, practice of the European Court of Human Rights, as well as features of the criminal proceedings in the European countries. 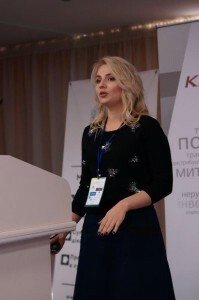 Antonina Gorodetska, attorney at law, of counsel and the Chairman of the Tax Committee of the Ukrainian Advocates’ Association, delivered the report on “Recent trends of tax evasion investigation. The illegality of tax audits appointment within the criminal proceedings”. Antonina outlined the main trends of proceedings opening under Art. 212 “Tax evasion” of the Criminal Code of Ukraine, as well as provided offers on ways to solve situation with illegal appointment of tax audits within the criminal proceedings. Download pdf-file of the presentation of Antonina Gorodetska.